MediaTrans is allows you to transfer photo, music, video from iOS devices to Mac/PC and vise versa. The full license key MacX or WinX MediaTrans that usually priced $59.95 is now absolutely free. The free serial license key offer is available for the both version WinX/MacX MediaTrans. 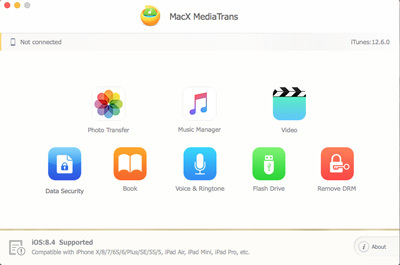 WinX or MacX MediaTrans break the stuck media transfer solution caused with official iTunes. The software offer flexible solution to transfer data between iPhone, iPad with your PC or Mac. MacX & WinX MediaTrans also called media management suite for iOS devices. Save $59.95 by downloading one of the software on this giveaway. The full license key is available officially on the following links. Giveaway page MacX MediaTrans (MacOS): Get the software! Giveaway page WinX MediaTrans (Windows): Get the software! MediaTrans offer easy solution to transfer iOS data/media with your PC or Mac. The software (lifetime license key) that normally priced at $59.95 now available on the giveaway link above. Select the version you want. Enter your email and click on “GET FREE LICENSE CODE” button. You’ll receive free activation ode and download link of WinX or MacX MediaTrans. MediaTrans can remove itunes DRM to transfer media easily. It also can mount iOS device as USB on your PC or Mac. The giveaway version is without free support & upgrade. To get full features, buy lifetime license key for WinX or MacX MediaTrans with 50% discount. Use coupon code to get the deals. This iOS media management suite support the latest version Windows and MacOS. It also supports 64bit & 32bit platform.